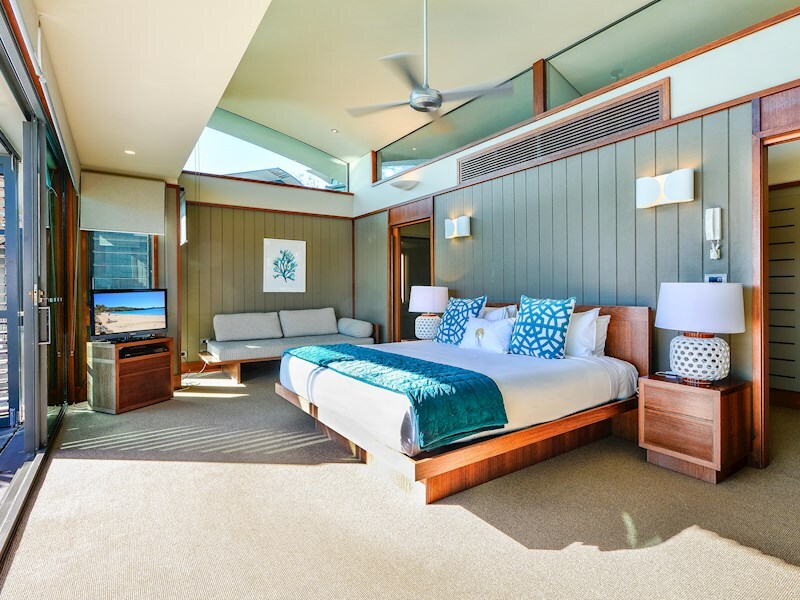 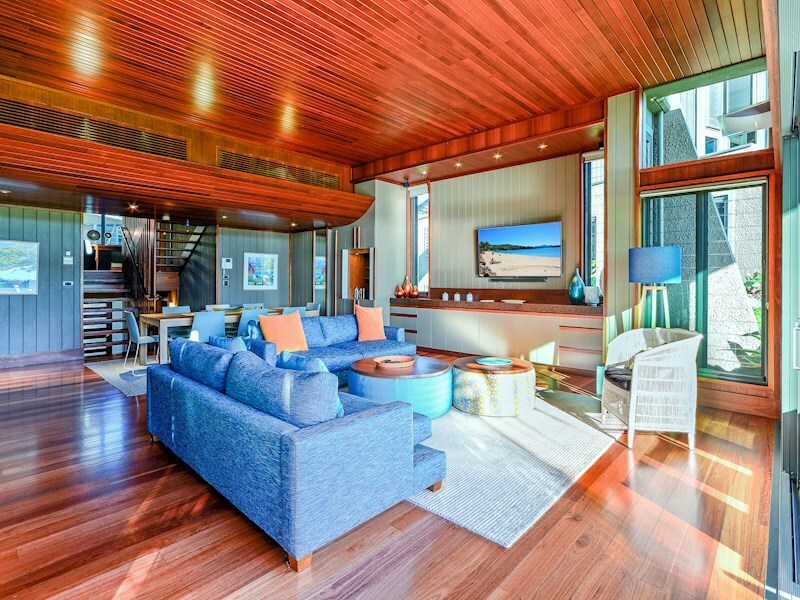 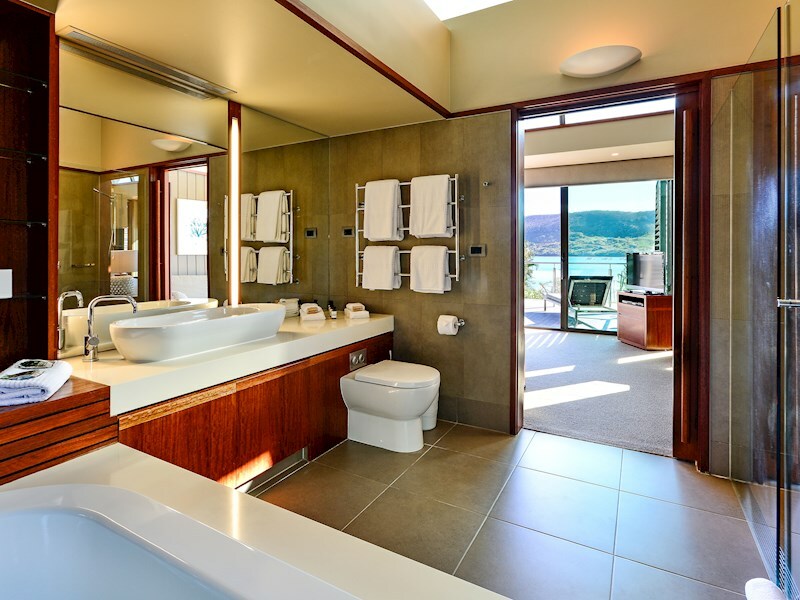 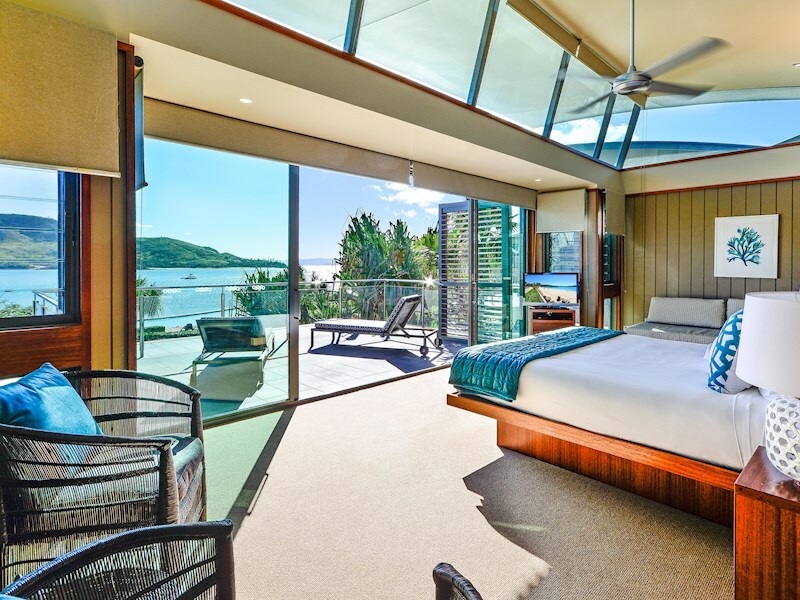 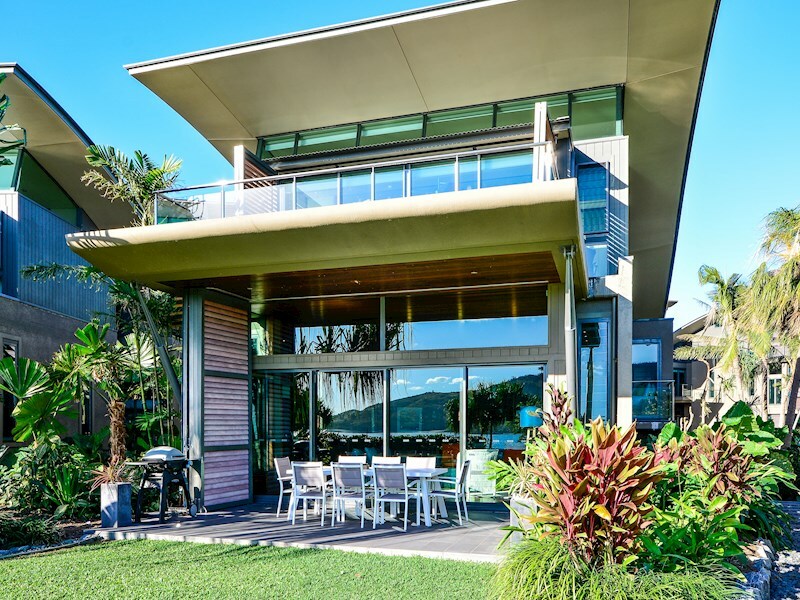 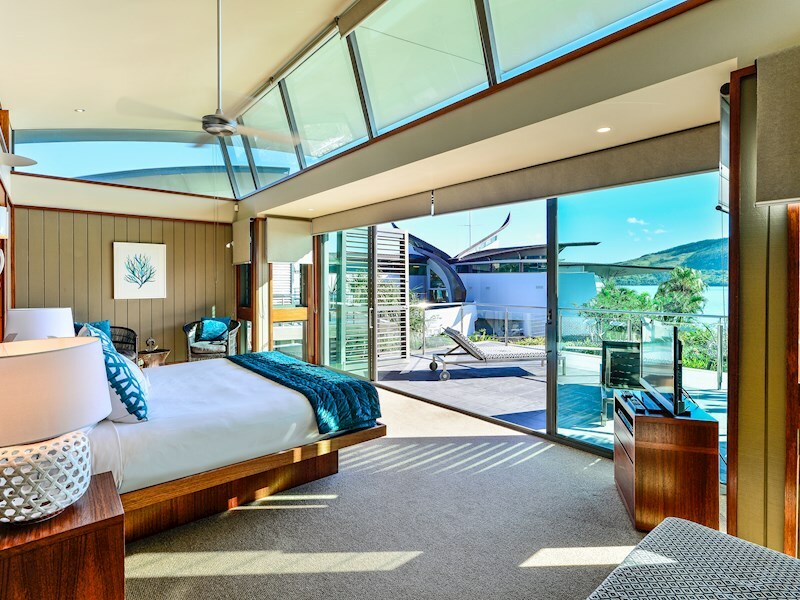 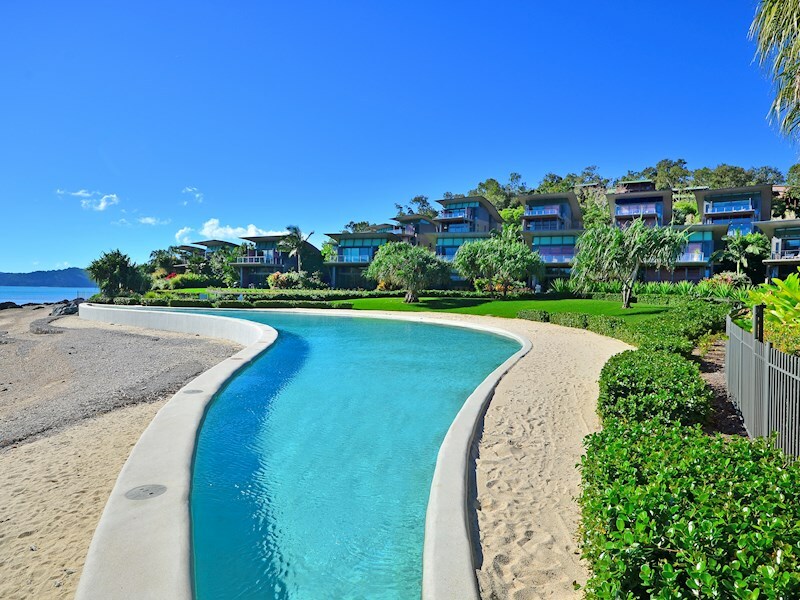 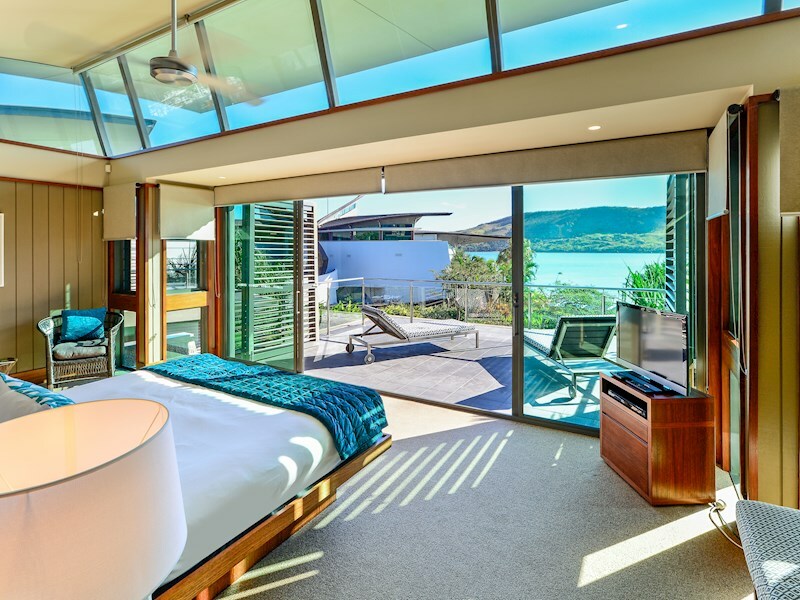 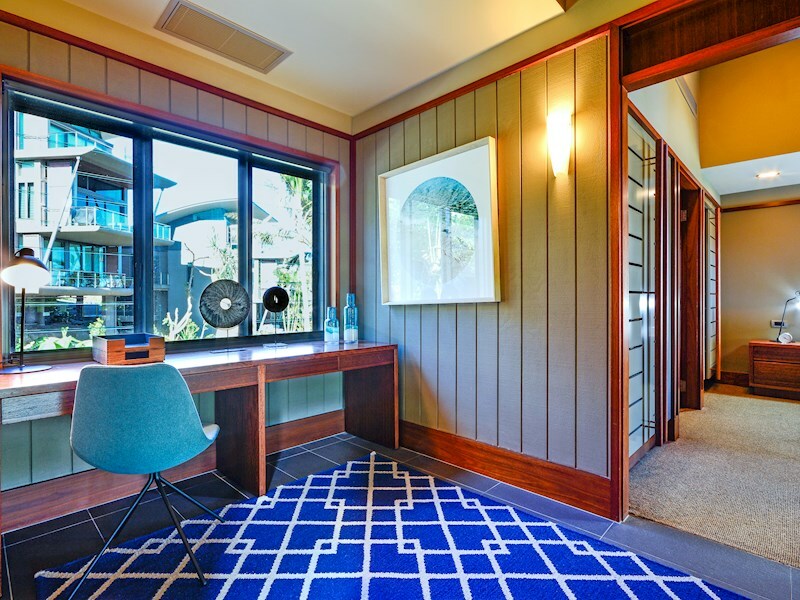 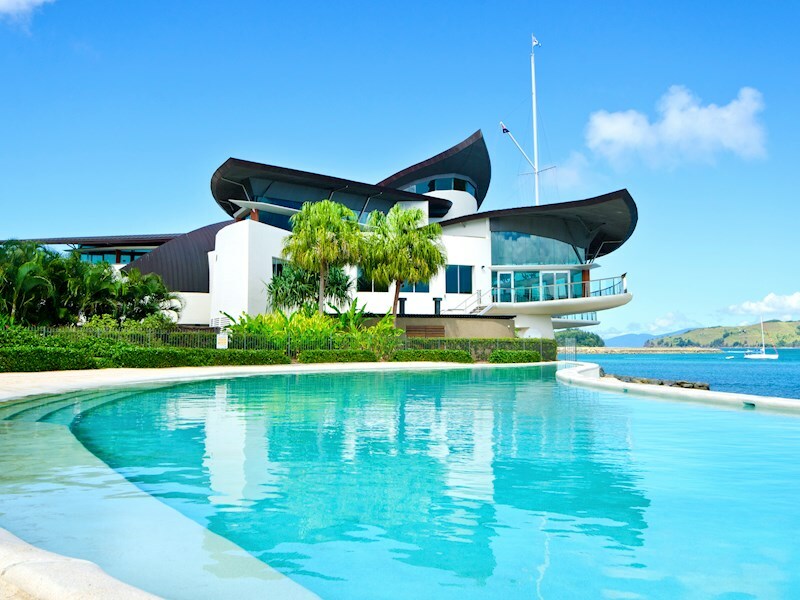 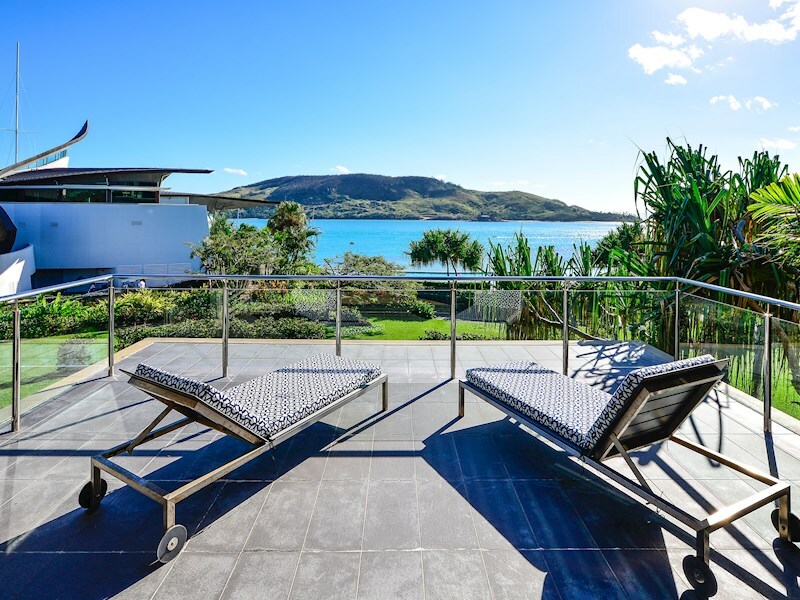 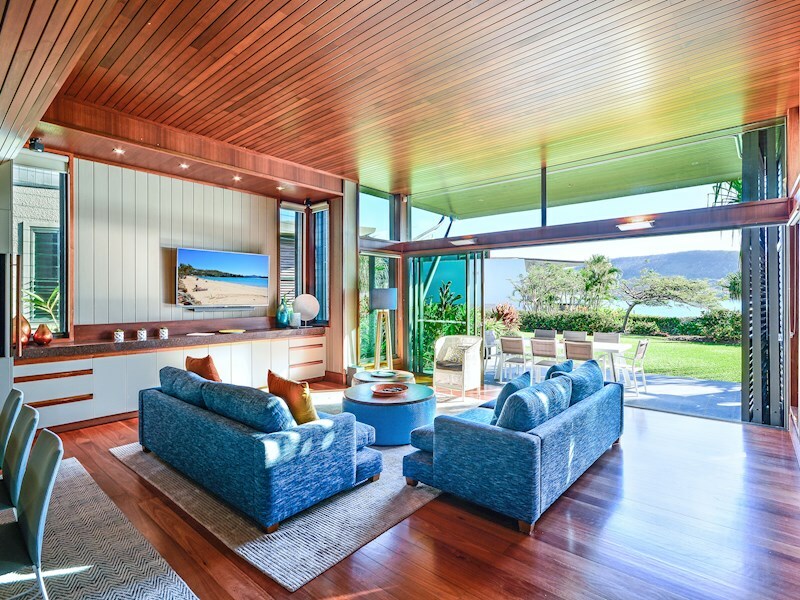 Located directly behind the iconic Hamilton Island Yacht Club, this striking and contemporary villa offers a luxurious and very comfortable island escape. 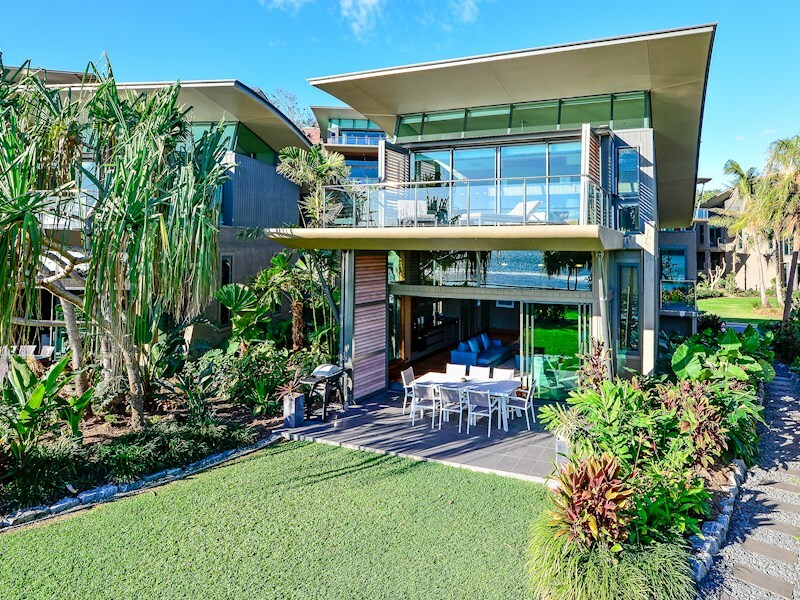 It includes four bedrooms, each with their own bathroom, as well as a state-of-the-art kitchen, ducted air-conditioning, and direct access to the waterfront reserve. 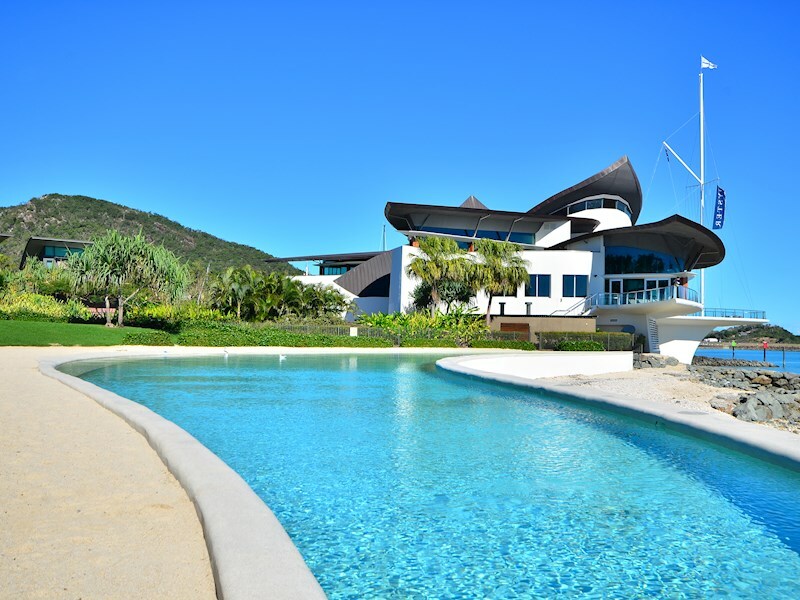 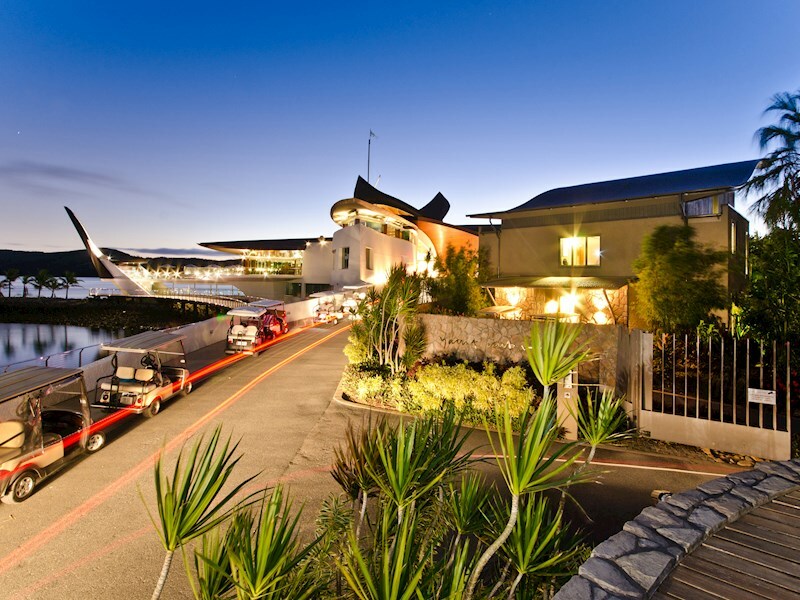 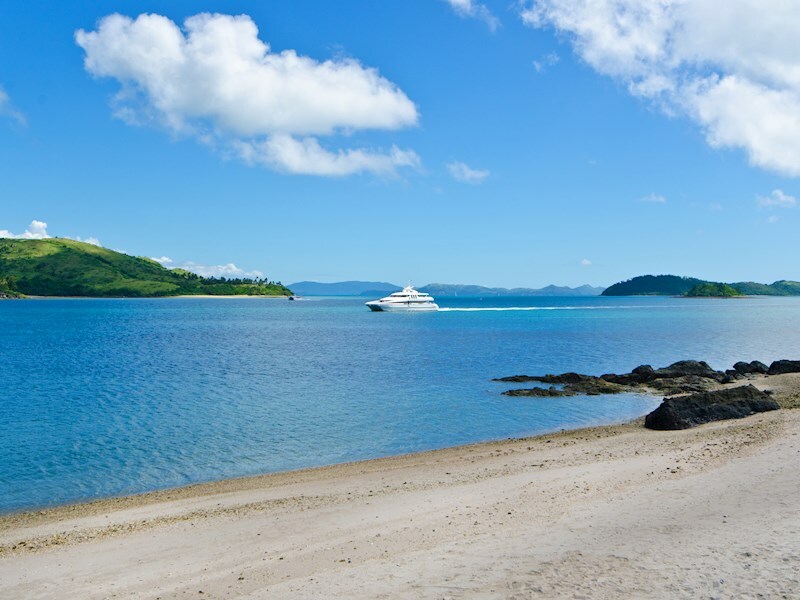 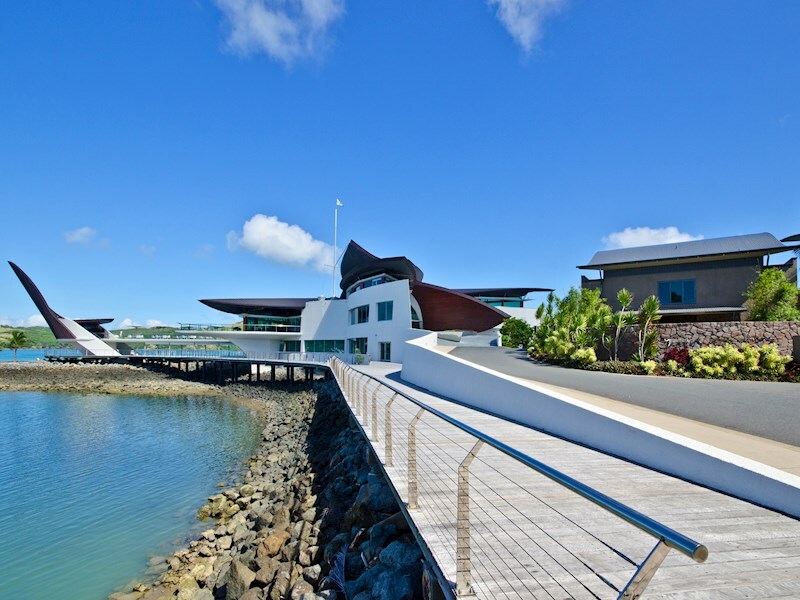 The Yacht Club Villa complex occupies a superb location at the end of Front Street, behind the iconic Hamilton Island Yacht Club. 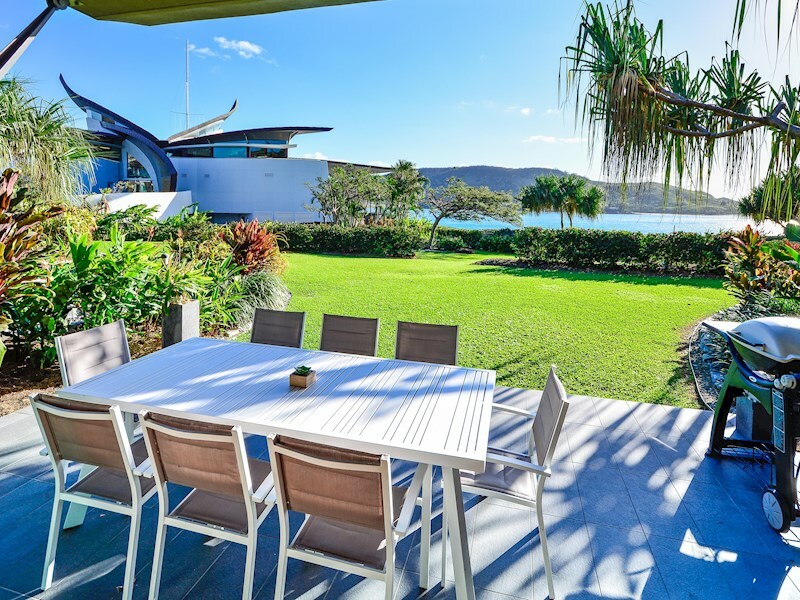 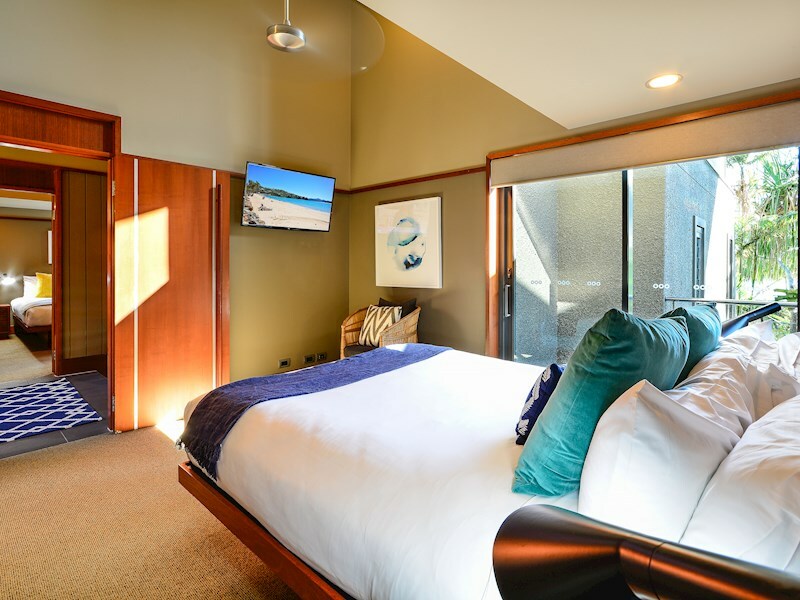 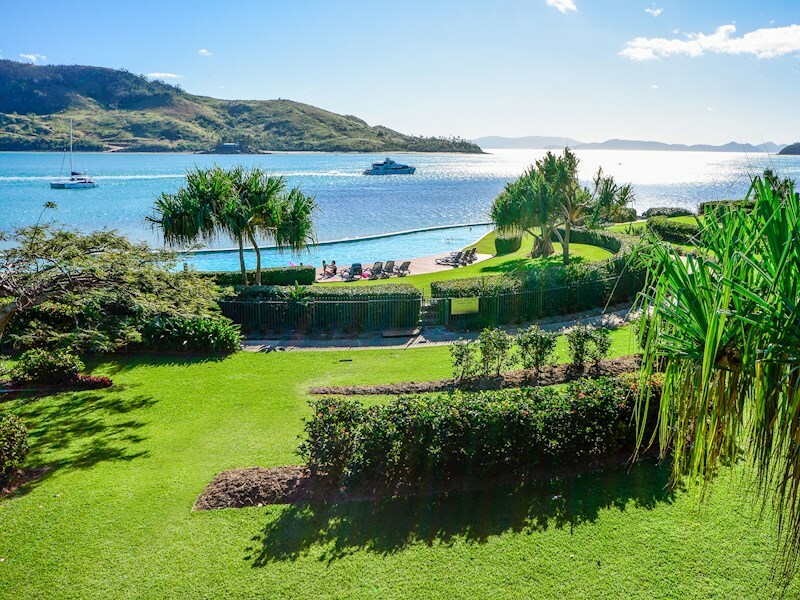 Villa 3 offers magnificent views of the waterfront lagoon pool, as well as the Hamilton Island Yacht Club and the turquoise waters of Dent Passage. 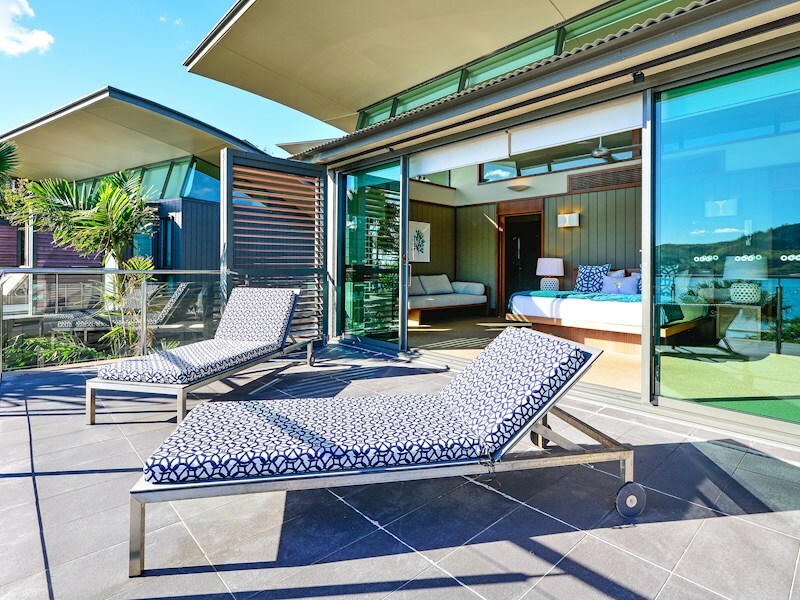 A large, comfortable living area flows directly onto the waterfront reserve and provides easy access to the shared lagoon pool. 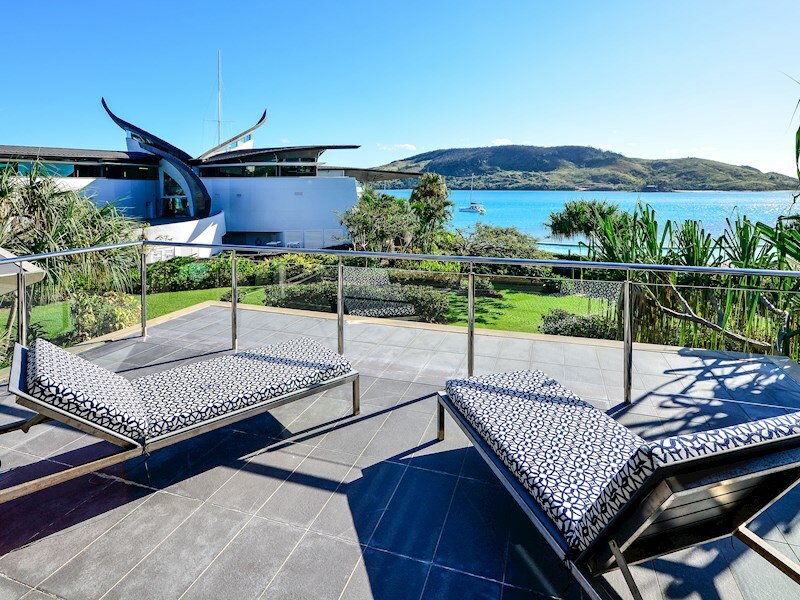 Designed by renowned architect Walter Barda, this villa maximises the spectacular view. 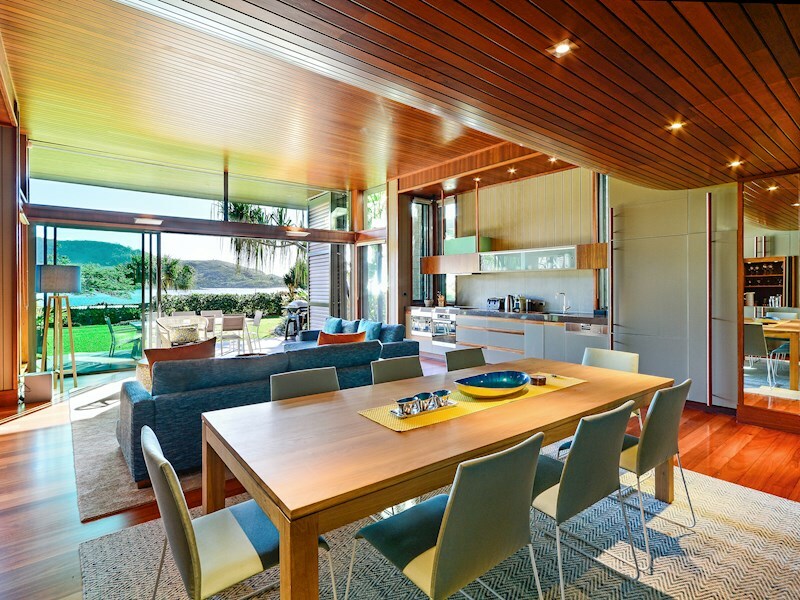 Large louvered windows allow plenty of air and light to flow through the open spaces. 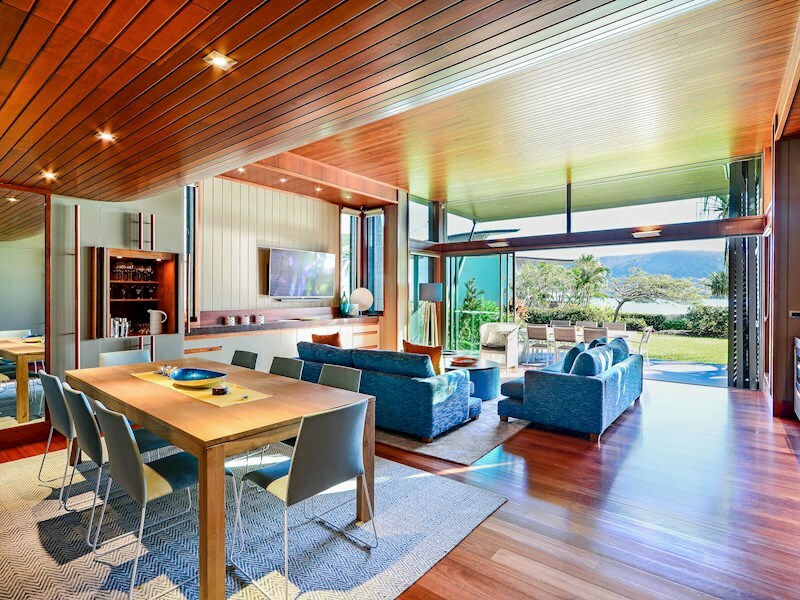 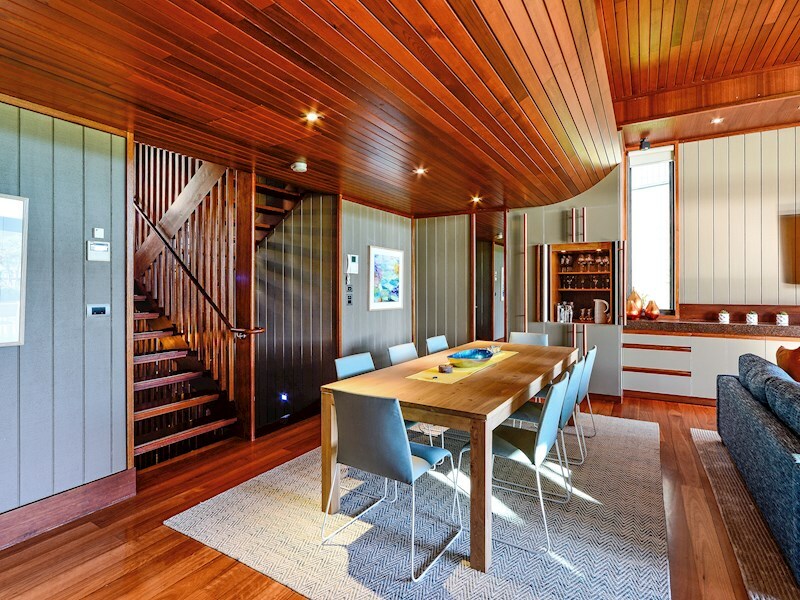 It also includes stunning contemporary interiors. 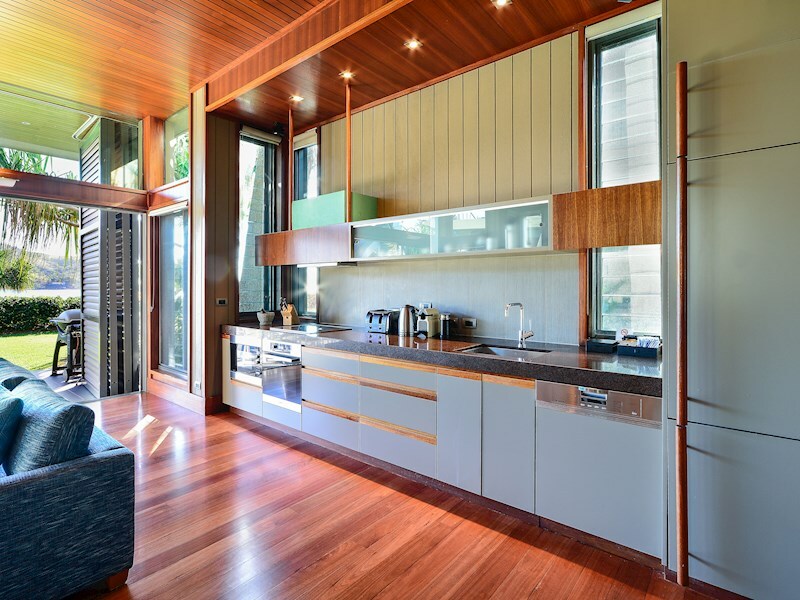 Enjoy a state-of-the art gourmet kitchen with Miele appliances, Nespresso coffee machine (a starter pack of 10 pods are supplied, once these are used you will need to purchase a Nespresso compatible brand from the local IGA or please remember to bring your favourite pods), a separate laundry (also with Miele appliances), fully ducted air-conditioning and a quality sound system. 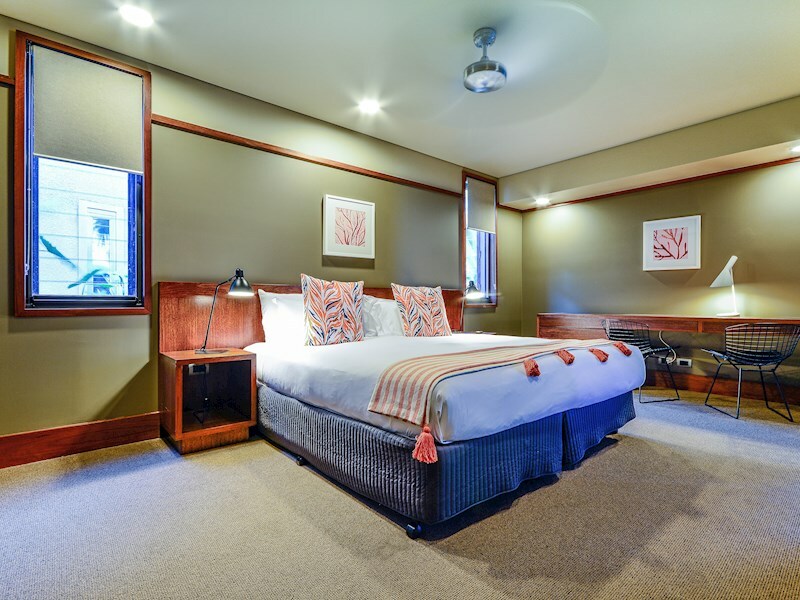 Complimentary Wi-Fi is also included. 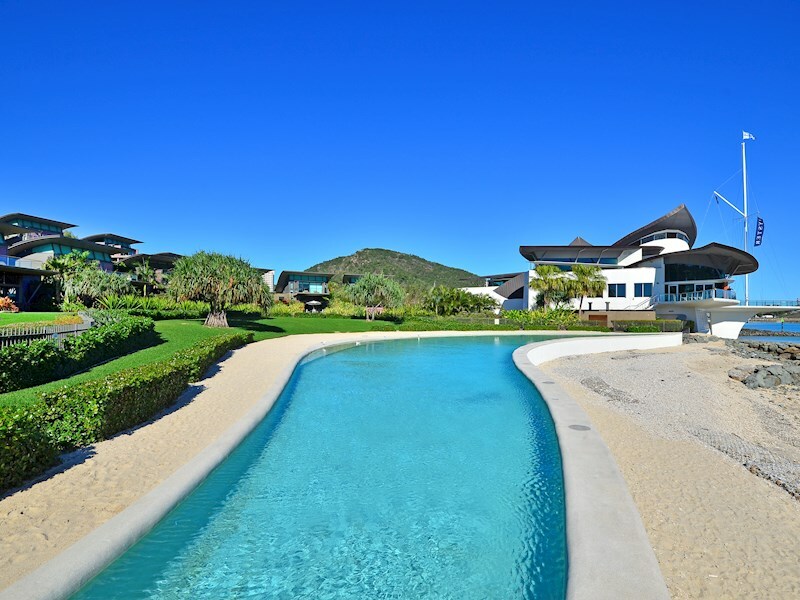 This villa overlooks beautifully landscaped gardens with sprawling lawns that open to a large, shared lagoon pool. 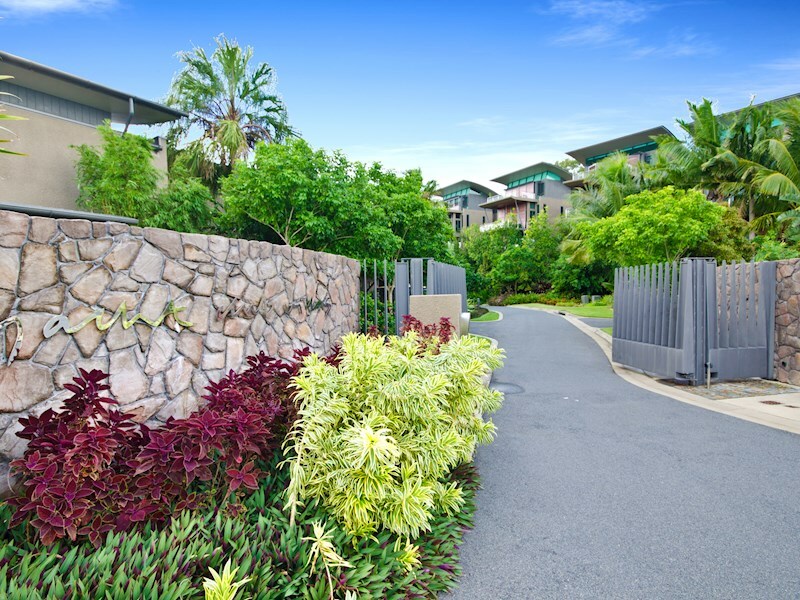 There are four bedrooms in Villa 3. 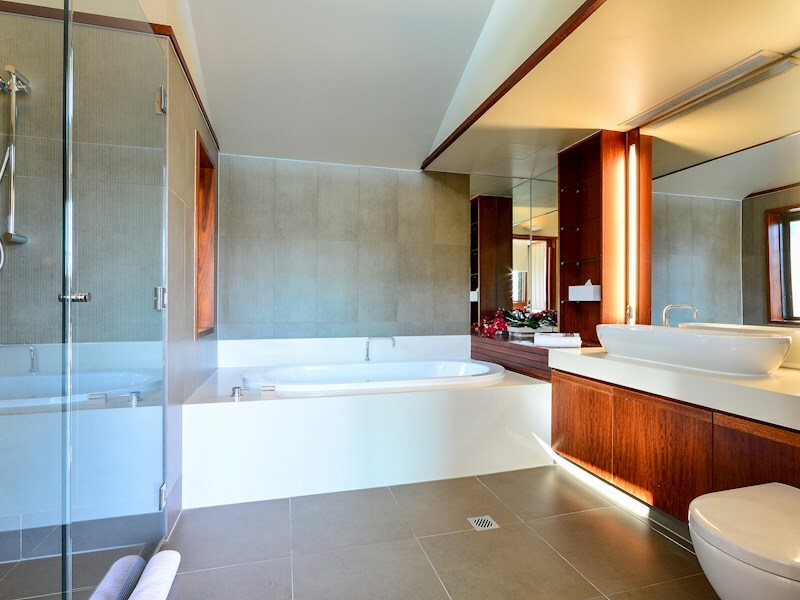 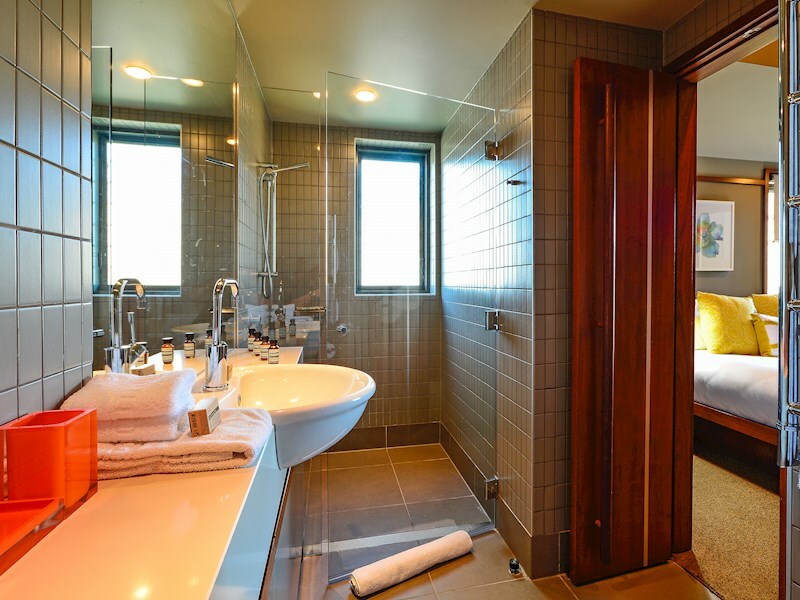 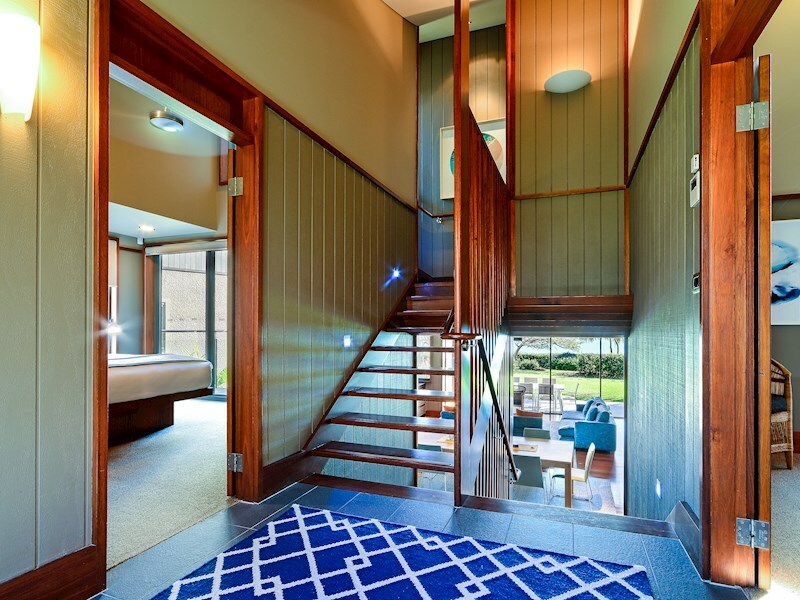 The master suite includes a walk-in robe and a bathroom. 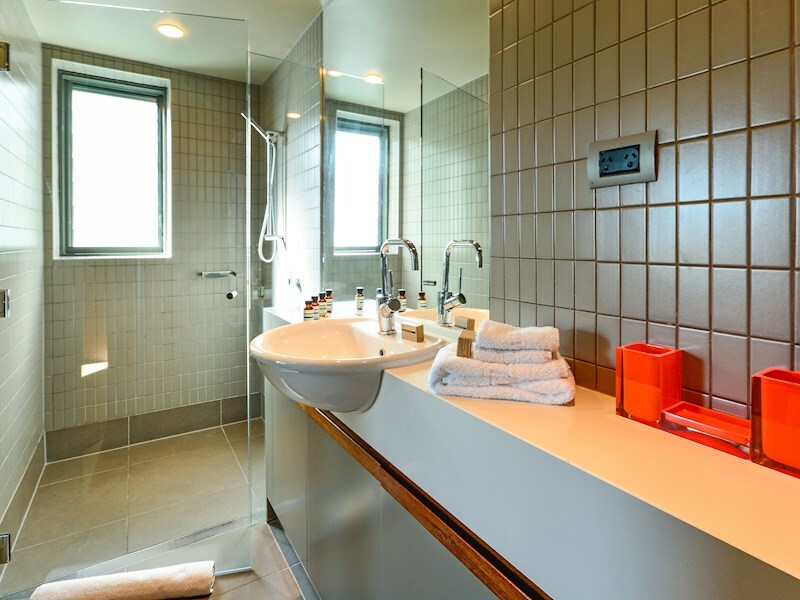 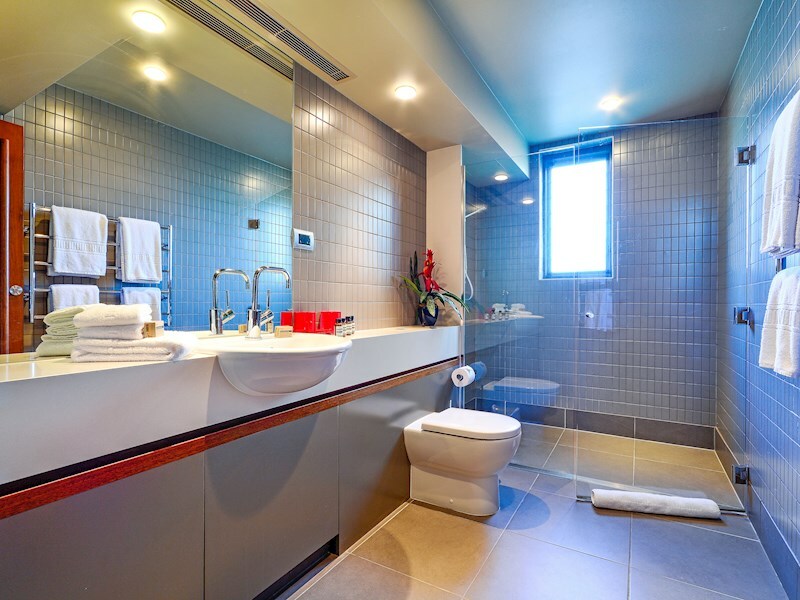 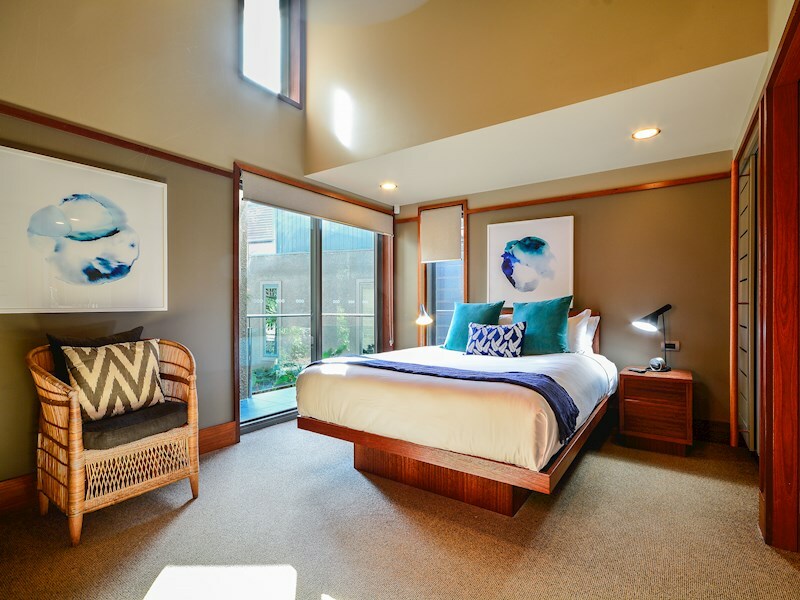 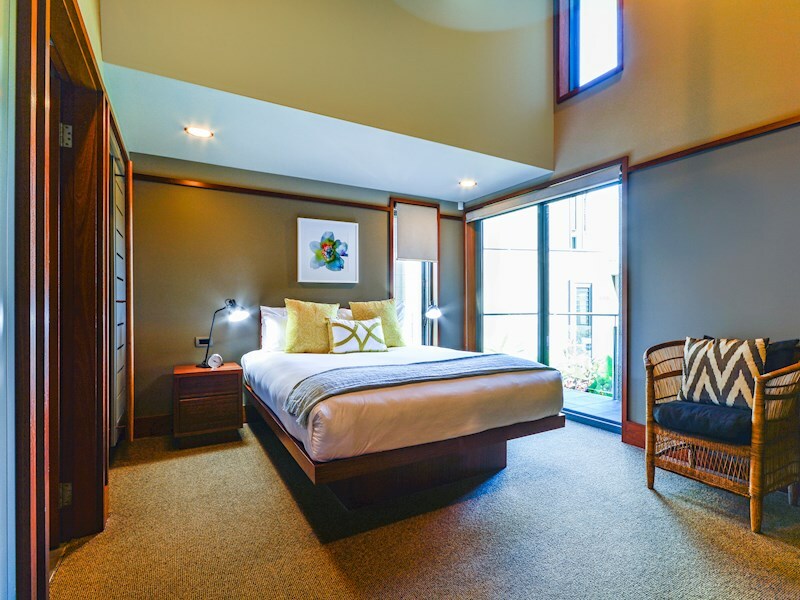 The second and third bedrooms have their own ensuite, and the fourth bedroom can double as a media room if preferred. 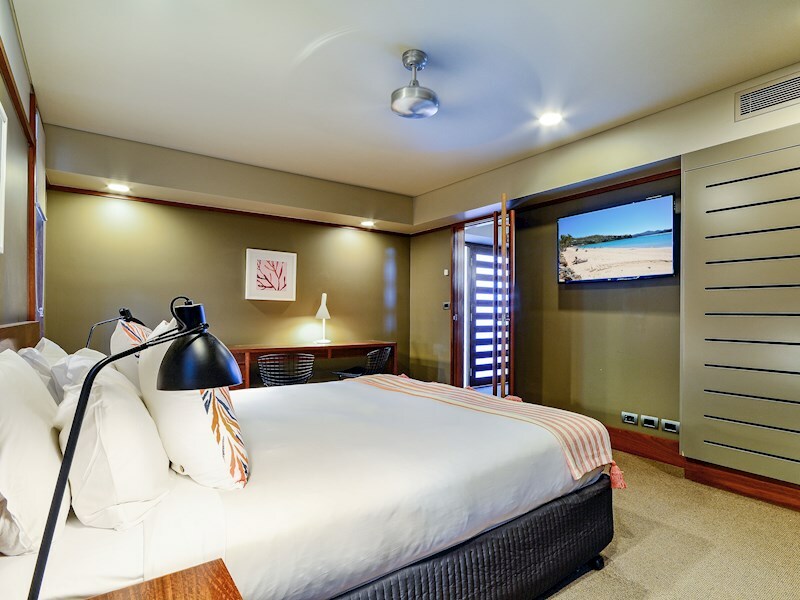 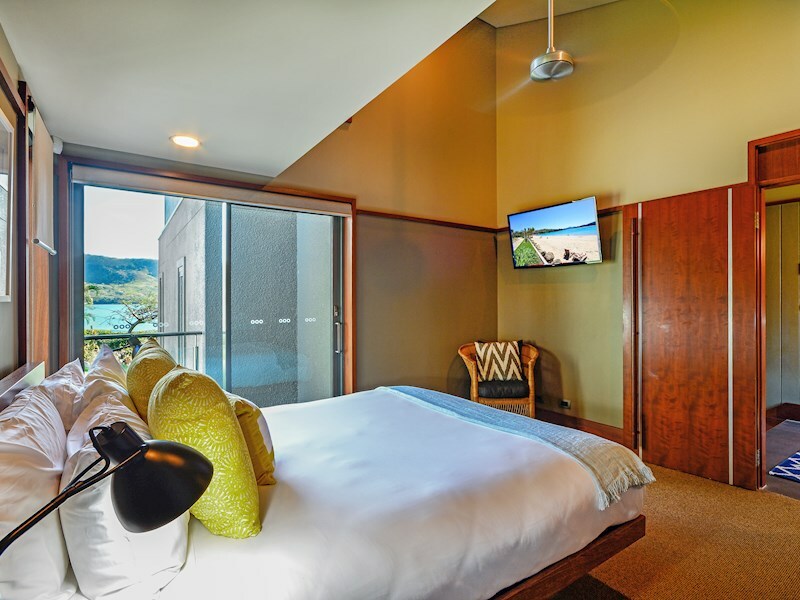 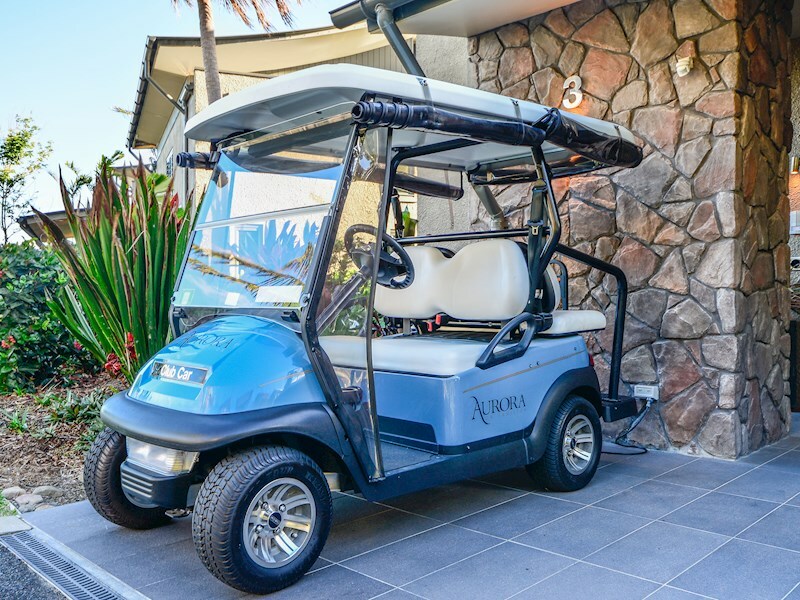 If the mere thought of prepping, planning and packing all the things your baby might possibly need while you’re away makes your head hurt, Hamilton Island has just the thing to help you travel light. 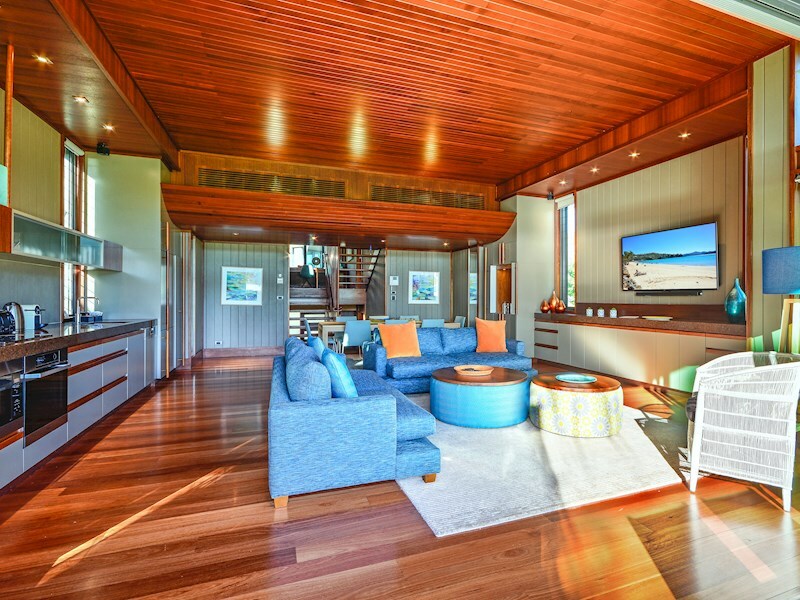 With a selection of free of charge By Request items that can be ordered in advance and in your Yacht Club Villa on your arrival, we can help make your stay as relaxing as possible, saving the extra worry when packing for your holiday.